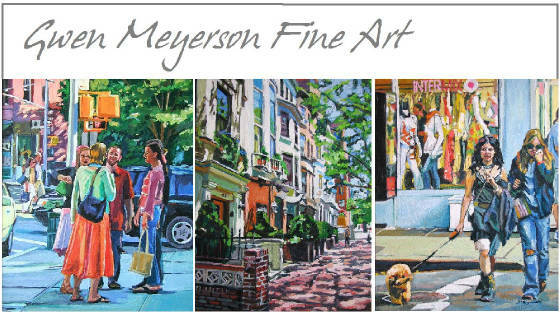 "I paint from life and photographs and enjoy a wide variety of subject matter. Recently I've been concentrating on cityscapes of Manhattan capturing both the buildings and 'regular' people in the street. While I rely on reality as my inspiration, I'm never a tight realist in my work. Rather, I like to play with color and texture so that you know the painting surface has been touched and worked on." To purchase my available art, please visit my etsy shop by clicking on the following link.